1 picture is worth a 1000 words! It was such great fun! 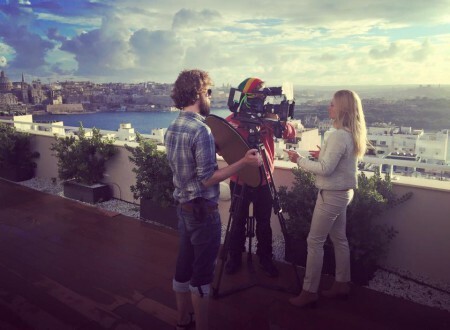 Discovery Channel came to Malta to shoot a documentary about our founder Marta Dreyfus-Starzyk and Fitness4Malta, being a new and innovative way to explore Malta in an active and adventurous way. 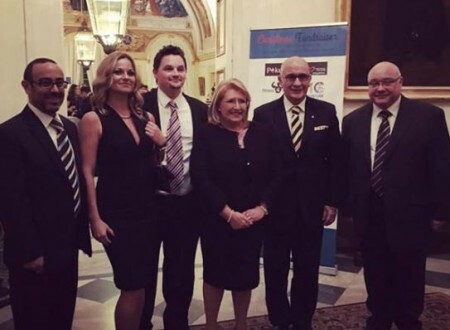 Fitness4Malta along with local Human Rights Organisation Kopin, organised a wonderful Christmas Fundraiser for Women & Children Refugees in Malta, sponsored by the French Embassy, hosted by the President of Malta at the Presidential Palace. 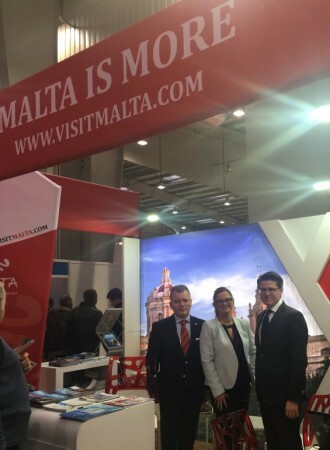 Fitness4Malta was present at the biggest Travel Show in Poland- Warsaw TT meeting our partners, checking out new trends for 2016. We also had the great pleasure to meet Maltese Ambassador, Mr. Pierre Clive Agius (on the right). Bankier.pl: "Malta, I live here"
mamBiznes.pl: "How to run business in Malta"
Our cover story for Health & Fitness magazine in Malta- because we understand that in order to provide our guests with excellent fitness holidays, we need to love it and understand your needs. Well, as you can see.. we do! Fitnessa4Malta was featured in monthly Polish Tourism News magazine as the first company offering Fitness Holidays in Malta by Polish Tour Operators. A milestone in our efforts to show that Malta is the perfect destination for active holiday! Summer Youth Camp - 11 days of fun! SHAPE magazine - "Success has no frontiers"
Founder of Fitness4Malta and Ready4Malta Marta Dreyfus-Starzyk is talking about her life and business idea in the beautiful Maltese Islands during the interview for breakfast show on the Polish National TV station. Since I was a teenager I have been travelling around the world, finding ways to explore new places in an active and fun way. Spending all my days on the beach was never an option for me! The idea to create Fitness & Adventure Holidays in Malta was born in 2010, after my several trips for Muay Thai camps, Yoga retreats and Adventure holidays throughout southeast Asia, U.S.A, South America, South Africa and Europe. With over 300 sunny days per year, fantastic Mediterranean climate, inexpensive prices, hundreds of accommodation and dining options, The English-speaking Maltese Islands seemed just perfect to create new options for active holidaying in Malta. 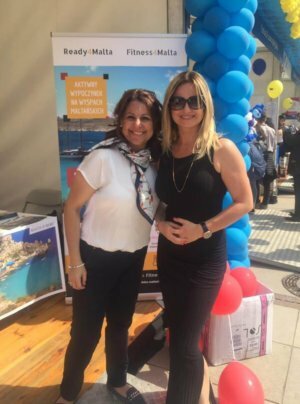 My goal was to create unique, unforgettable and affordable holidays, designed for all who want to enjoy the Maltese Islands adventure even if not very fit. A holiday, where you can climb, hike, cycle, horse ride, dive, fly, kayak, drive Segway or electric car, try archery, and much more. That is why we designed a few different fitness & multi-activities packages, so you can get to know how beautiful Malta is in the most unconventional way and see places most tourists will never see. We are the only company offering Adventure Holidays packages in Malta. We are a small team but that is our power! We work hard and with devotion to oversee every step of planning your active holidays on the island. All of us are frequent travellers and adventure lovers so our personal mission is to show Malta’s best hidden secrets. 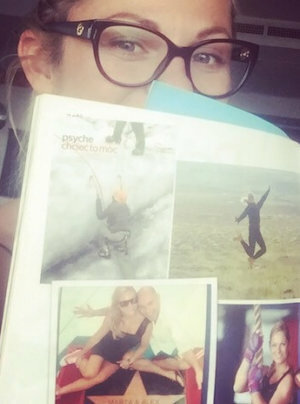 Polish, entrepreneur, lives in Malta since 2004, travel junkie and fitness fan.